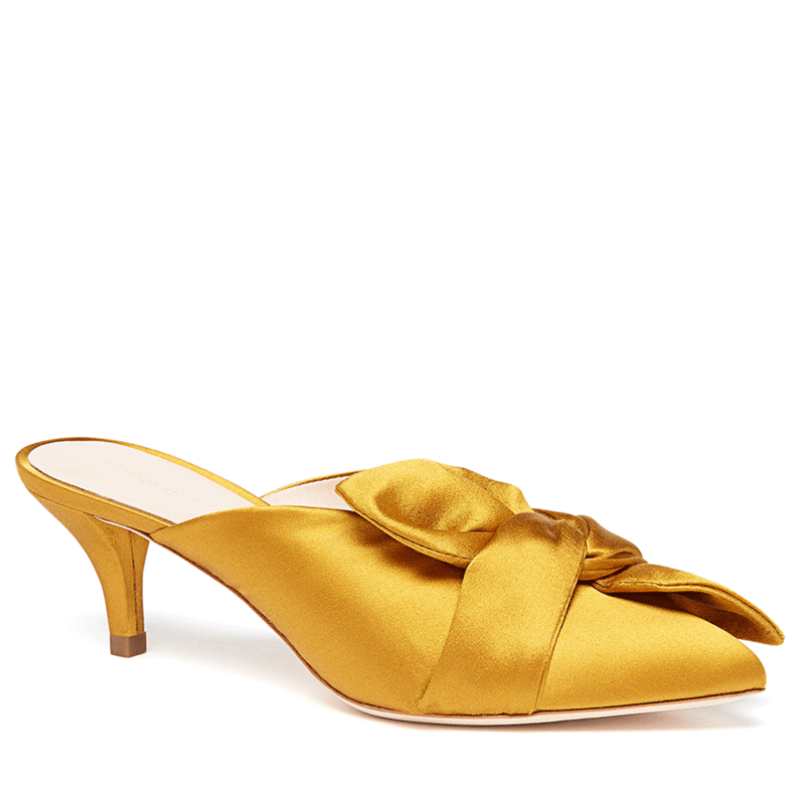 Loeffler Randall Jade Satin Kitten Heel Mule with Bow in Yellow. I intend to roll these babies all Fall into Winter and right through Spring. Because Marigold. Also, what color does it not go with? Okay, lavender. But, otherwise, it's 100% on. 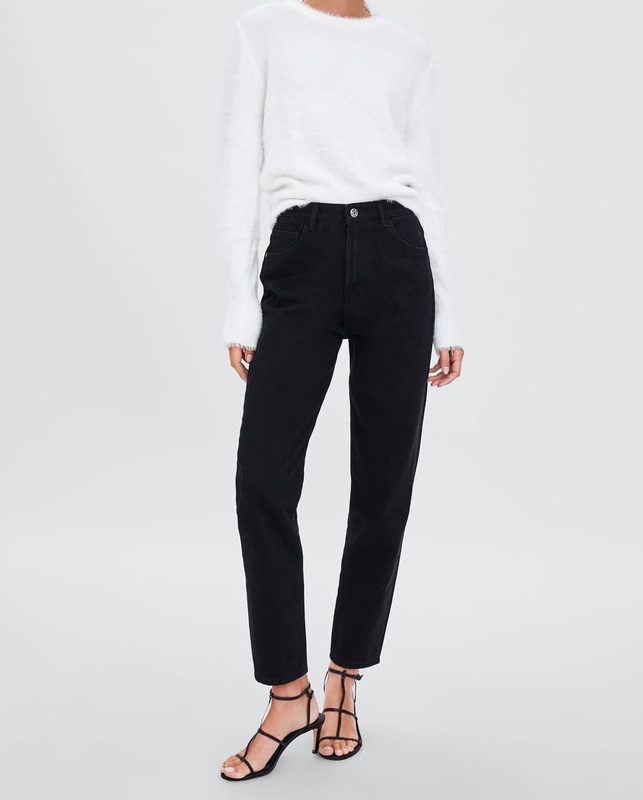 Zara Mom Jeans in Black. You need these in your closet. Perfect pitch for Fall. 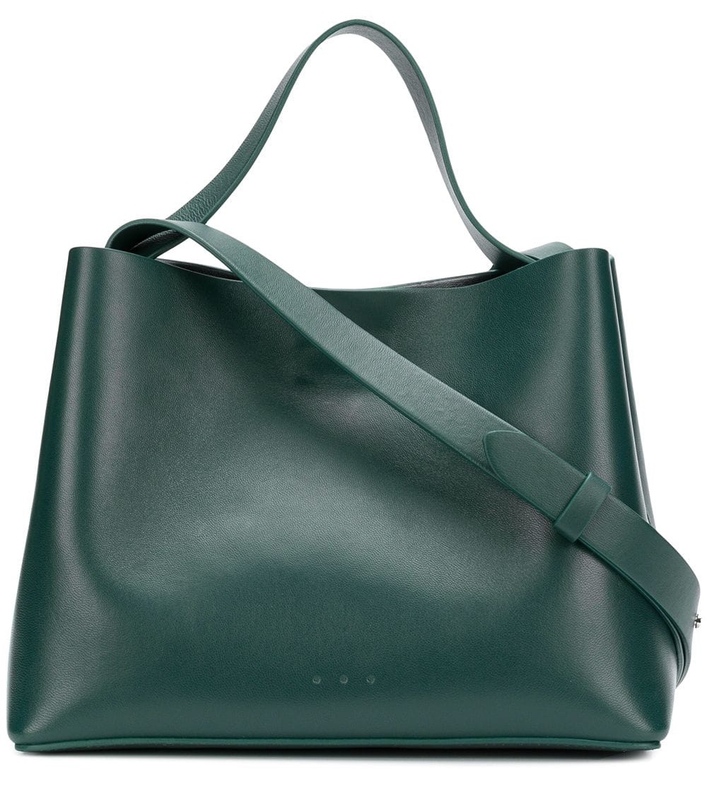 Aesther Ekme Mini Tote Bag in Deep Green. At $377 (plus an additional 20% off with code X20OCT), this may be my favorite of favorite bags for fall. This shade of green will work with literally anything in your closet for Fall. 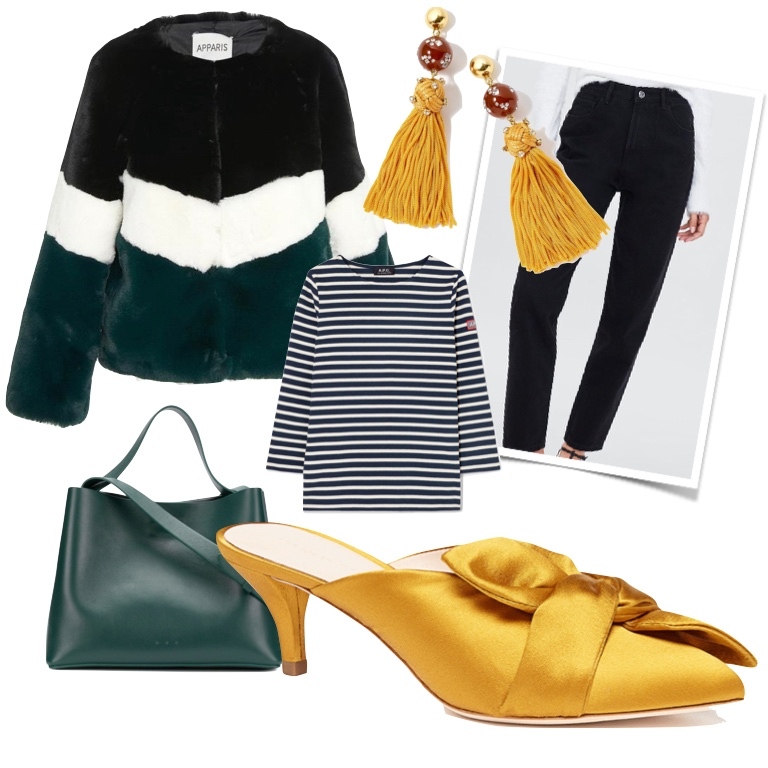 J.Crew Crystal, Bead, and Tassel Earrings in Yellow. If you are looking to wade in on the marigold but afraid to get your feet wet, here's a fabulous low-risk option. At $49.50, you won't have much invested if you end up hating marigold. And, you won't hate marigold. It rocks. A.P.C. 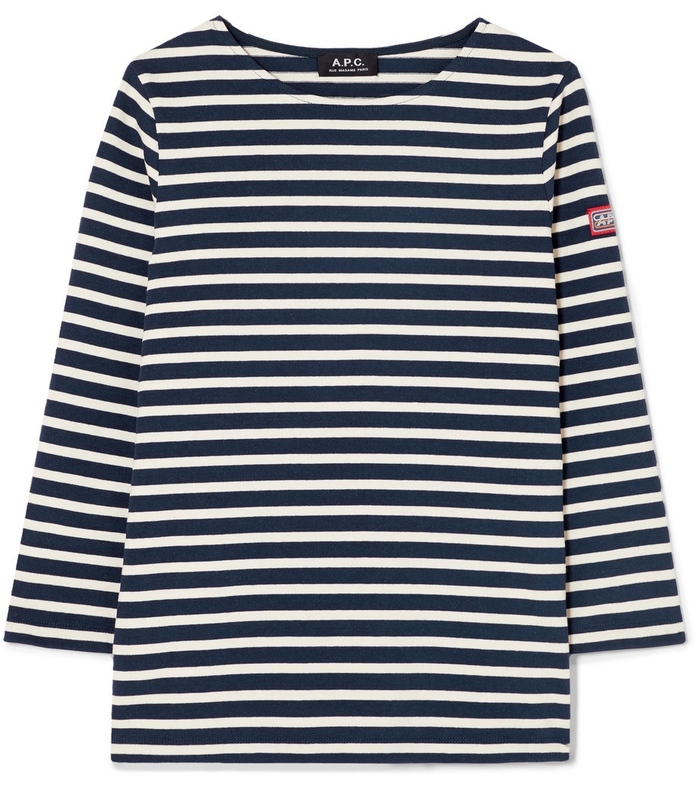 Breton Stripe T (the most classic of the classics). Can't tell you how hard I am vibing on this jacket. 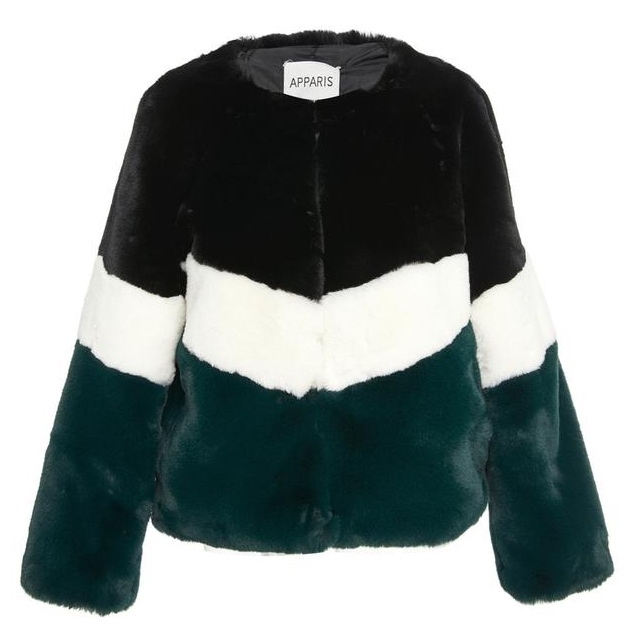 So that we are on the same page: faux is HUGE this Fall (maybe from now on? faux and vintage??? Thank you, Stella McCartney). And, the colors really make the faux. This jacket, tho. Black and deep forest green. Killing me. This is one of my go-to color combos for Fall perfection. Literally busted it out twice last week. And, then I started obsessing over pairing this jacket with marigold. It seemed to literally scream for it, right? So, I obliged with a combo of fab (but very well priced) indulgences and some fab (but MAJE) bargains. Dope. Also, heads up: J.Crew has sweaters on sale 40% off. Do yourself a favor and grab some wardrobe workhorses like this, this, or this. Everything else is 25% off with code BRRR.